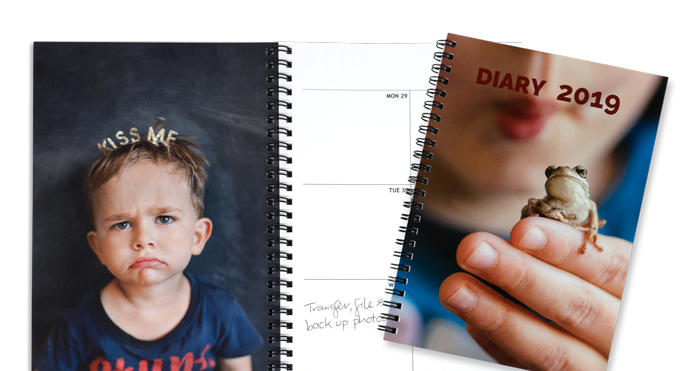 Turn your diary into a memento by filling it with travel shots, family photos and special dates. You’ll be organised and endlessly entertained. 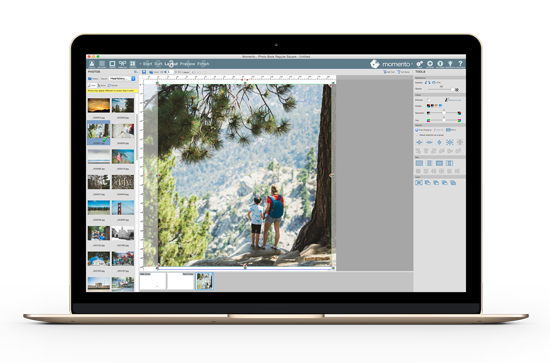 Watch our mini-tutorial to see just how easy it is to create a photo diary. Size your personalised diary to suit your lifestyle. 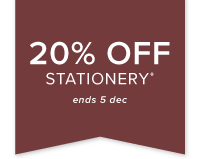 Small is best for benchtops while Regular is perfect for office notes or journal entries. 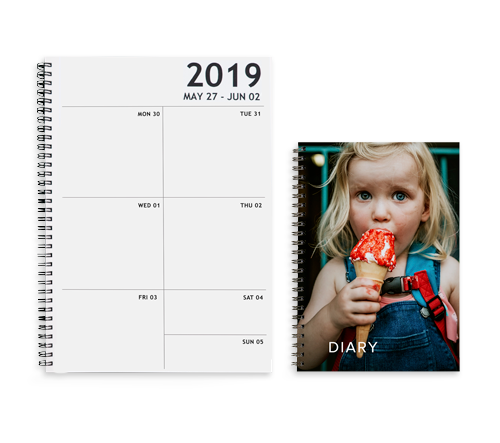 Choose spiral binding if you plan to do lots of writing in your photo diary or a deluxe hardcover for a professional finish and extra durability. Fill your year with priceless memories at an affordable cost. Pay more for a hardcover or for more pages with more photos. Personalise every element of your diary by adding photos, text and embellishments to the cover and week days. 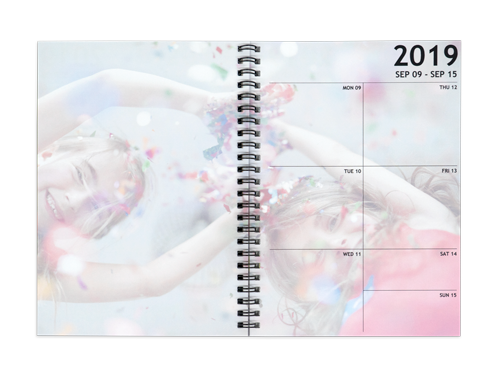 Insert extra pages for more photos, a calendar, addresses or birthday lists.